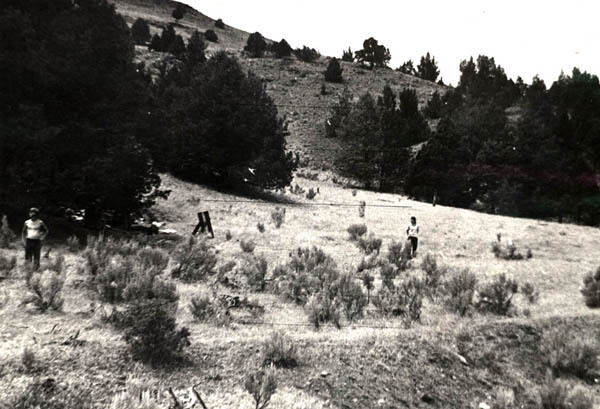 The Oregon Museum of Science and Industry sponsored a summer science camp for High School students during the summer of 1971 in central Oregon near the town of Clarno, Oregon. The fieldwork was directed by Brian Gannon; the National Science Foundation provided part of the funding for the fieldwork at two sites: Indian Canyon 2 (35WH13) and Jones Canyon 2 (35WH21). Previous seasons of OMSI fieldwork had concentrated at the site of Cove Creek 2 (35WH7). Radiocarbon dates from Cove Creek include 300 BC +/- 100, AD 790 +/- 90, AD 1482 +/- 80, and AD 1600 +/- 90. Archaeology students use a transit (right) to measure elevation of features at Indian Canyon 2 (35WH13) in an semi-arid environment. Sifter adjacent to the excavation units at Indian Canyon 2. Cobble surface encountered a few centimeters below the surface of Indian Canyon 2. Stone tools, waste flakes, bone tools, and discarded bone were intermixed with the cobbles. Neither pottery sherds nor historic artifacts were encountered in this layer. The cobble surface is a mixture of basalt and ignimbrite cobbles. Many of the rocks show patterns of red and black shading indicating they were once part of a fire pit. 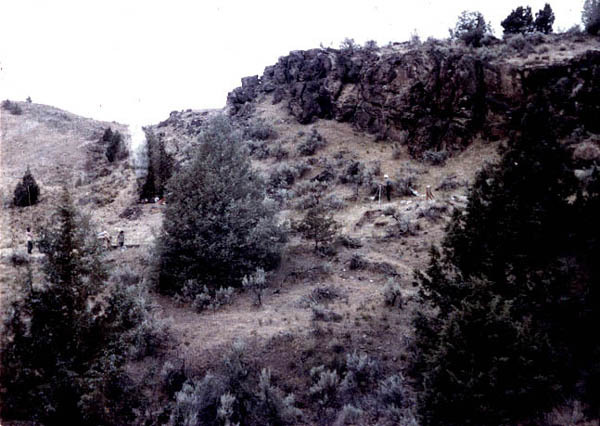 Jone Canyon 2 (23WH21) is a lithic site associated with a shallow basin shaped depression that was excavated by OSMI. 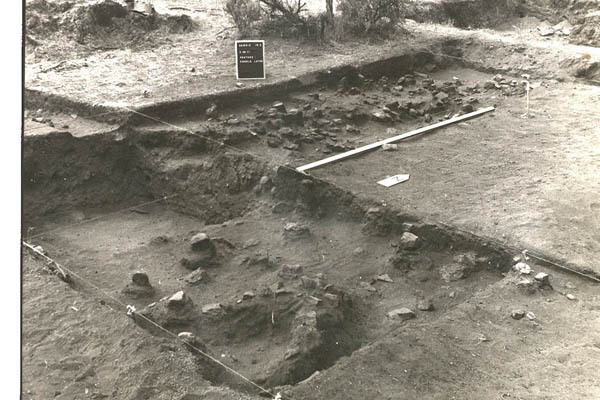 The distribution of artifacts in the basin indicates that it was a pit house. A concentration of split bones were discovered in one portion of the basin. 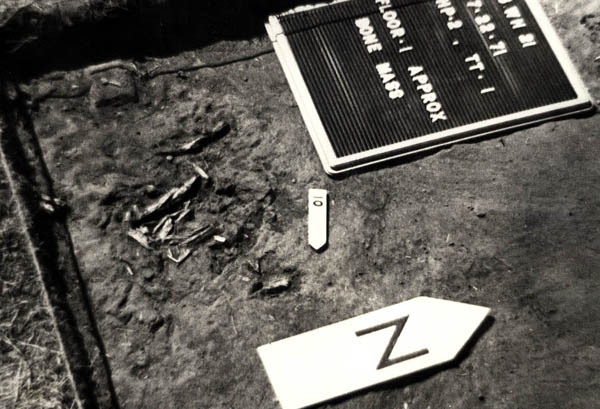 Four small arrowpoints from Jones Canyon 2. Knife fragments and a scraper from Jones Canyon 2. Three cores from Jones Canyon 2.